Getting around Toronto with kids is about to become more affordable. The Mayor of Toronto and TTC Chair made an announcement of new funding to significantly expand and enhance transit service, reduce wait times and crowding, and make using the TTC more affordable for families by eliminating fares for children 12 years and under. They are also finally integrating GO fares and TTC fares. 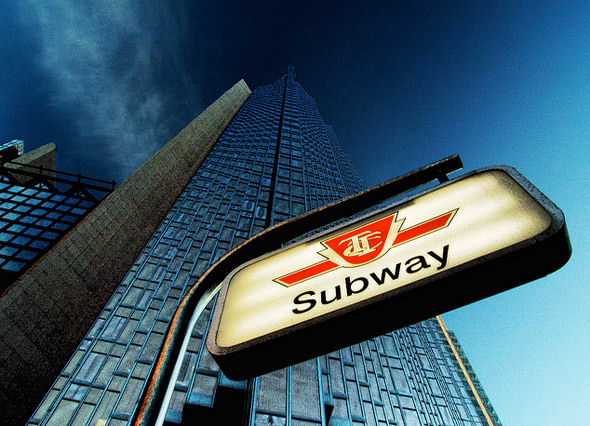 You will be able to buy a sticker for $60 that goes onto your Metropass and use GO to get between Danforth and Exhibition while avoiding the downtown gridlock on the TTC. I would like to see this go further and have the TTC offer the same discounts to GO commuters using Presto as all of the other cities in the GTA (most cities charge less than $1 when you transfer to/from a GO service), but I guess that won’t be happening any time soon. Will free rides for children make you use the TTC rather than drive? John Tory ruining all of Rob Ford’s good work. What an idiot. How about those minimum wage workers who spend nearly an hour’s pay to use the TTC to get to work? now is the perfect time to start having kids ! Why not give a break to those who are actually going out and working, and having to pay about 30% of what they make into various government benefit programs, instead of paying lip service to families with young children? The fare was already so inexpensive for children to begin with, this seems like an unnecessary expense that everyone without a child under 12 is forced to subsidize. Sorry, but the children fare is low enough, there’s no need to make it free and have the rest pay for it. The children fare in our town has always been much higher than Toronto (almost three times as much), which does not make much sense because you have more service and can go farther on TTC. One adult can travel with three or more kids, now is that really fair? When kids are reaching twelve, it gets harder to tell what age they are really at. It will make it harder for officials to tell if they are below or under twelve, and it will be easier for some over twelve to take advantage. Maybe the age limit should just be adjusted, just like in our town, which is children ages five and under ride for free. It will not get people out of their cars because it doesn’t matter how many children they can have in the car, it will still cost the same. If they want to get people out of their cars, they need to improve their service, which, unfortunately, comes with a cost we all have to carry. Now you tell me that after my children grew up and want to apply for their own drivers licence?! What about youth students who have to ride or drive to school everyday? Not many children ride the TTC bus at a daily basis since most of them go to nearby schools at walking distances. Even if parents decide to take advantage of this offer they have to accompany these children and pay an adult ticket plus an extra 10 cents. It’s just like these attraction tickets where children enter free with an accompanying adult who pays double or triple the price! What about the day passes that include children on weekends? Will they be reduced or changed?